Always popular, this bank received its Charter rather late in the National Bank Note era. Only 1929 small-size notes were issued by this bank, the only bank in the small Dauphin County town founded by and named after chocolate magnate and philanthropist Milton Hershey. There are five other Type two tens and two Type One known. This note if finer than all by a wide margin. The other Type Two notes are in Fine to Very Fine condition and the Type One notes are Very Fine. 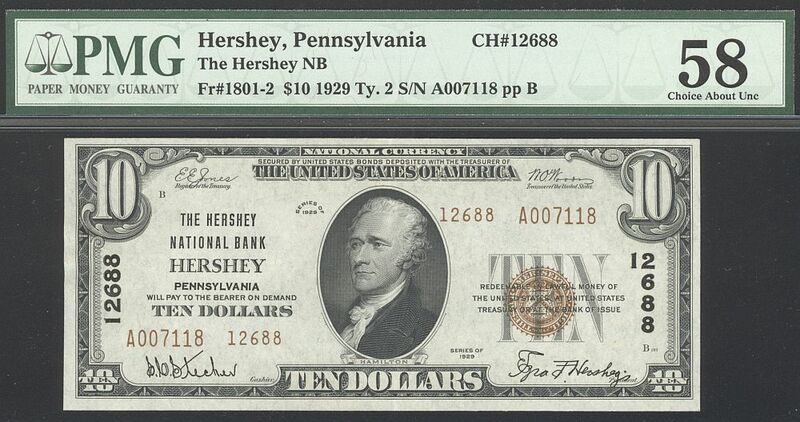 Over the years, a dozen or so Hershey Bank notes, principally $5 denomination, have been reported as Uncirculated, including this one. Only half have been confirmed by the third party grading services. The reason that this note received a grade of "58" rather than the "63" assumed in the past cannot be detected through the sealed holder. 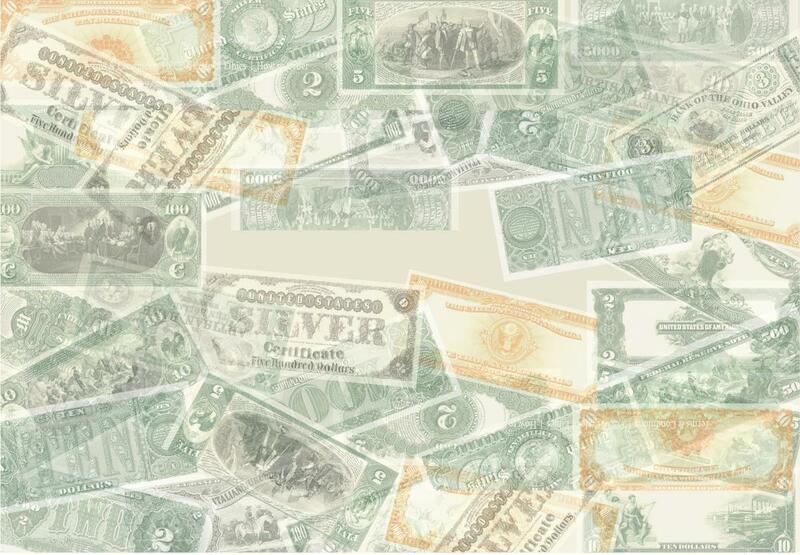 That, however, can of little consequence to anyone desiring to add to their collection a Hershey Bank denomination unique in quality and of appearance matching that of other Choice/Gem CU notes.